How will your business rebound after it’s struck by an unexpected – and potentially catastrophic – event? A building needs to perform when an event (whether natural or man-made) occurs to protect the businesses that operate within it. The potential threats that a building could encounter before, during and after an event need to be identified in the early stages of planning and considered during design. Many threats are addressed, to various extents, in the building code, but others require a more comprehensive risk assessment. How well a building performs during and after an event will have a major impact on whether a business’ operations can recover in a reasonable amount of time. Entuitive’s Barry Charnish will be speaking at the Sandford Fleming Forum on October 13, 2016 organized by The Centre for Resilience of Critical Infrastructure. This forum will explore how the principles of resilience shape our structures, which in turn enable operational resilience within them and their surrounding communities. Barry will discuss how iconic, high value buildings have been designed to withstand man-made threats (whether accidental or deliberate) as well as extreme climate events. He’ll elaborate on how a focus on performance-based structural and building envelope design solutions is a better approach than simply a prescriptive one. The drive for high performance in the built environment is changing the rules. New codes and standards are reflecting an increased demand for better performance. Nevertheless, performance-based design goes beyond the standards that code demands and moves towards a holistic approach. The shift is towards ensuring building tenants needs are addressed and they can appropriately plan for their own business continuity. Resiliency is not a fad – it’s a growing trend. 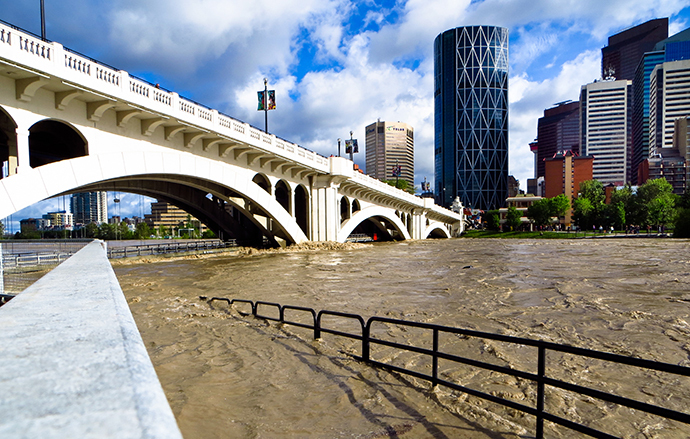 We’re seeing evidence for the resiliency movement in 100 Resilient Cities, of which Calgary, London, New York and Toronto have all signed on to become more resilient to the physical, social and economic challenges that are a growing part of the 21st century. Our industry is adapting to changing political, economic, environmental, technological and security circumstances. In a world where the future is getting harder to predict, resilient design mitigates rather than reacts, helping people to prepare for potential hazards. Joining Barry at the forum will be Paul Dowsett, founding Principal Architect at SUSTAINABLE.TO, and Cleve Collins, founding Principal at REISA Corporation. Join the resiliency movement. Get to know Barry better here and register for the event here.